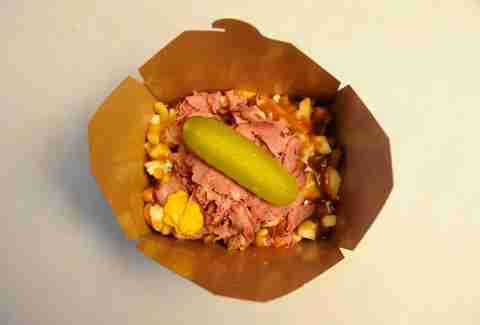 With nearly 30 takes on the classic gravy & cheese curd combo, Smoke’s Poutinerie take their hand-cut, custom-seasoned fries, and generously throw on toppings to make numbers like the Montreal (w/ Montreal Smoked Meat & a dill pickle), the Bacon, and the Nacho (w/ salsa, sour cream, jala's, and guac). 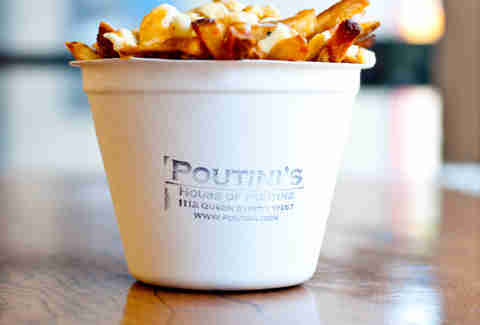 In the heart of West Queen West, Poutini’s takes pride in the quality of their Classic, whose rich homemade gravy eliminates the need for frills. If you’re in the mood for a change, however, they'll sub out the fries and slather the curdy goodness on a baked potato instead. Utopia lives up to its name by offering two gravy-laced twists -- the Gourmet Poutine, which blends sautéed 'shrooms, brightly flavoured goat cheese (in leiu of the classic curds); and their show-stopping Lamb Sausage number, loaded w/ sliced Merguez links and hunks of Brie. 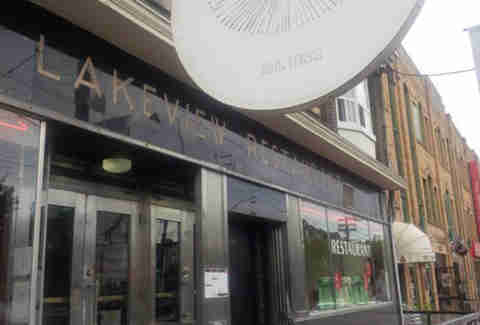 An anchor in the trendy 'hood of Dundas & Ossington, The Lakeview's classic poutine can be custom'd with "hangover cure" add-on's like maple sausages & cornflake chicken. You can also opt for menu highlights like the Lakeview (w/ two types of bacon), the Philly cheesesteak, or the gigantic Poutine-opolis platter, loaded with pulled pork & Montreal smoked meat. 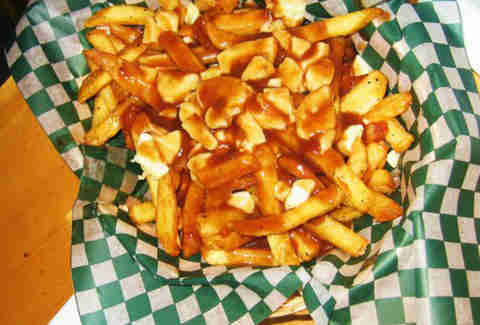 The crispy, thick-cut fries at Big Smoke are what pushed this traditional poutine into the best-of. If you’re a fan of the curd element, be sure to ask for extra since they tend to lean toward the light end of the cheese spectrum. 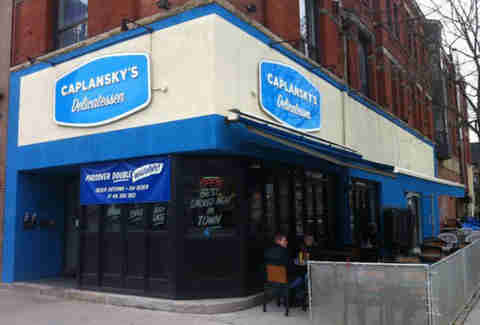 If you like your fries, gravy and cheese curds to be propped up with salty, tender smoked meat, check out Caplansky’s. 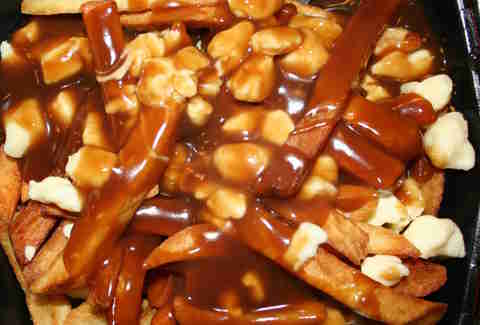 What their poutine lacks in beauty, it more than makes up for in flavour and texture, and the fries (through some black magic) manage to stay crispy despite being smothered in a love-bath of gravy. 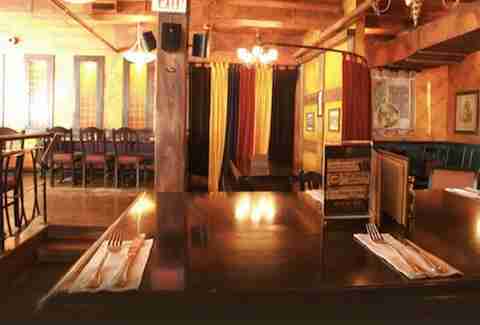 So, here's the deal: Fynn’s is an Irish pub that serves Indian food, in Toronto. 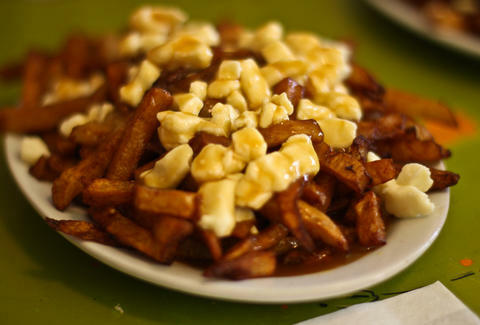 Their Tikka Masala poutine is the perfect confluence of all three cultures, blending Canadian food, Indian spices, and the Irish love of stuff happening in pubs. Also? It's delicious!